Soups and chilis on repeat! 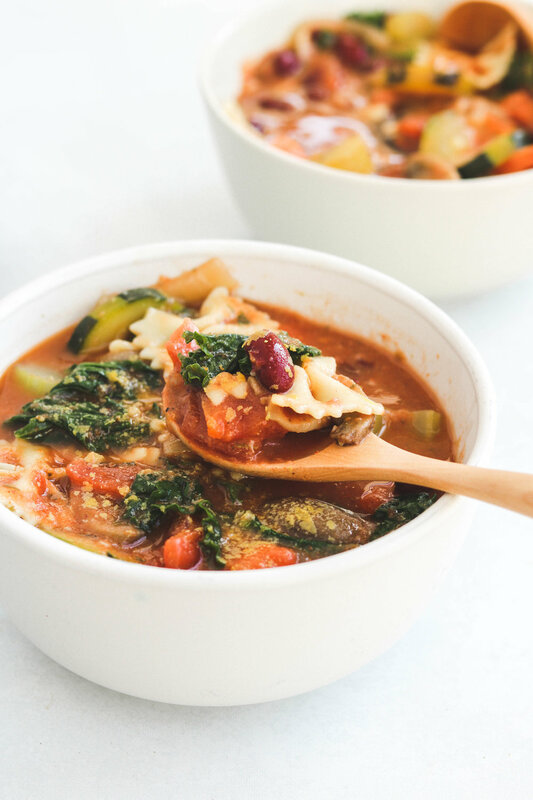 This 1-Pot Vegan Minestrone has been a go-to recipe lately because of how fast and easy it comes together. Plus, it’s super meal prep and freezer friendly so I always have some on hand. The base of minestrone soup is a tomato-y and flavoured with herbs. What I love about minestrone soup is that you can change up the vegetables depending whatever you have on hand! One of the most versatile dishes and still always comes out delicious. The addition of the nutritional yeast adds a subtle cheesy savouriness with really elevates the tomato flavour! 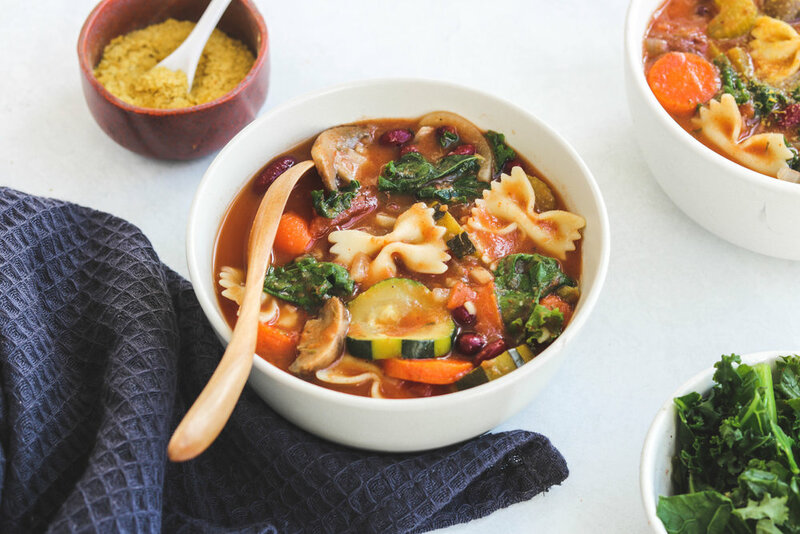 If you recreate this 1-Pot Vegan Minestrone Soup please share it and let me know what you think by tagging me on Instagram @lisakitahara, I love seeing all of your tasty recreations! Add in the celery, zucchini, broth, tomato sauce, nutritional yeast, coconut sugar, spices. Bring to a boil and then reduce the heat, allowed it to simmer for 5 minutes. Add in the pasta and cook uncovered for 8-10 minutes or until noodles are cooked. Turn off the heat and add in the kale and stir through to allow it to wilt. Serve & enjoy!